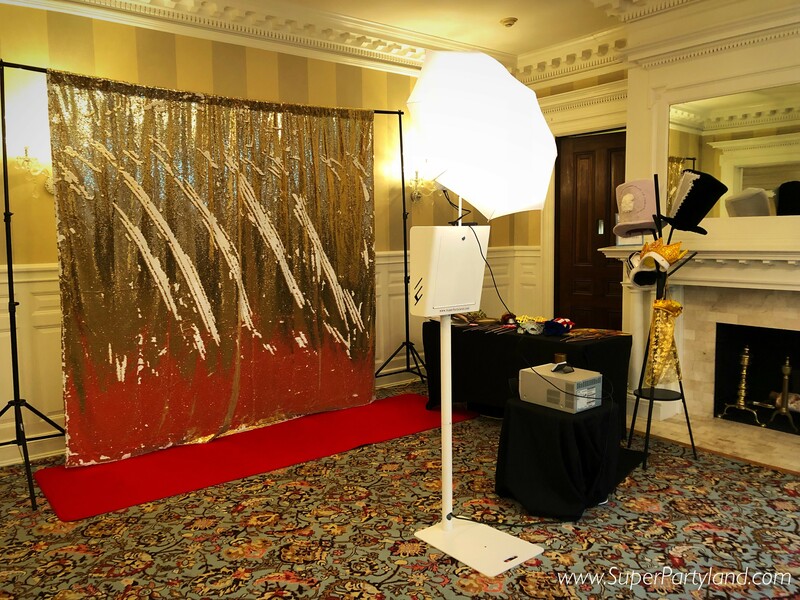 Ready for our most popular photo Booth?! 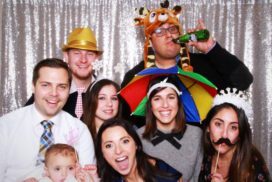 Our Open air booth includes a large touchscreen where your guests will be able to see themselves before, during and after every photo. Oh yeah! Did we mention we will design your photo strip to match any color/theme or background you'd like?! Instantly prints high quality photos after each photo session. After each photo session you can instantly share your photos to yourself or friends right from our touchscreen (text, email, facebook). A bit about your event? 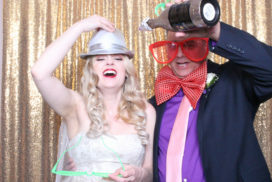 "Hiring Super Partyland for our wedding was one of the best decisions we made. 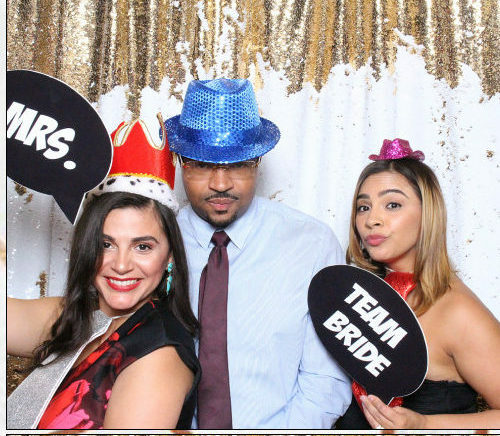 Everyone loved the photo booth, props, and the attendant. 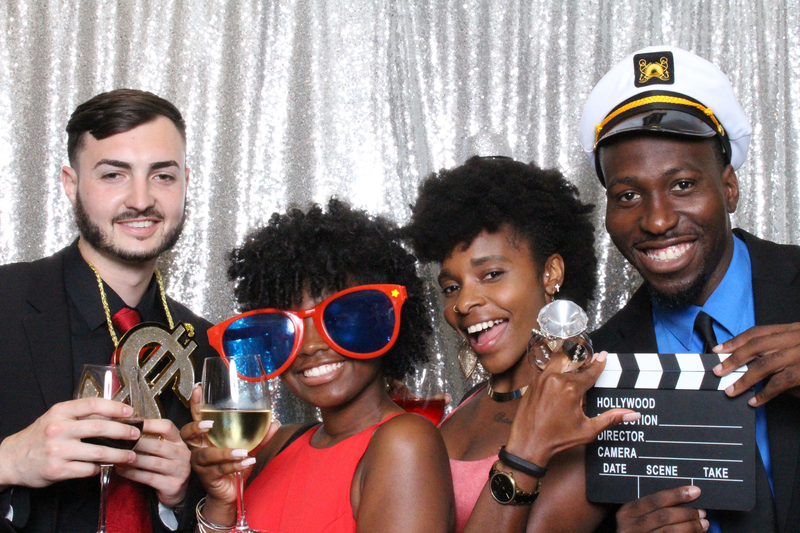 They came on time, set up beautifully, had options for the picture boarders before printing & kept the party live and going! …Highly recommend this company for any big event! Huge success!" 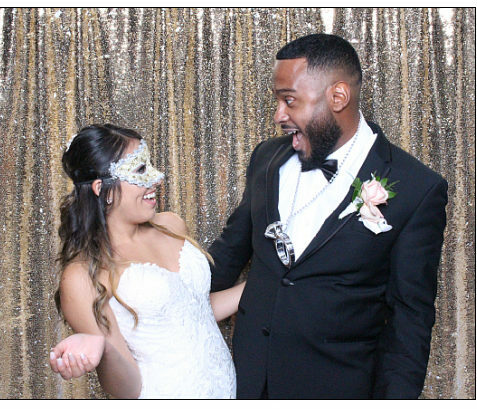 "I cannot put into words how pleased we are with the photo booth experience…They were extremely punctual. Very organized and proactive on leading our guests into leaving us a note on the scrapbook. Friendly staff. Everyone loved it! At the very end of the period we had hired them for, we realized that myself and my then husband, had not taken a decent pic of only the two of us. They had already started the break down, but kindly unrolled the backdrop again, turned on the camera, and let us take photos. It was impeccable! Thank you for being easy and professional yet relatable and helpful!" 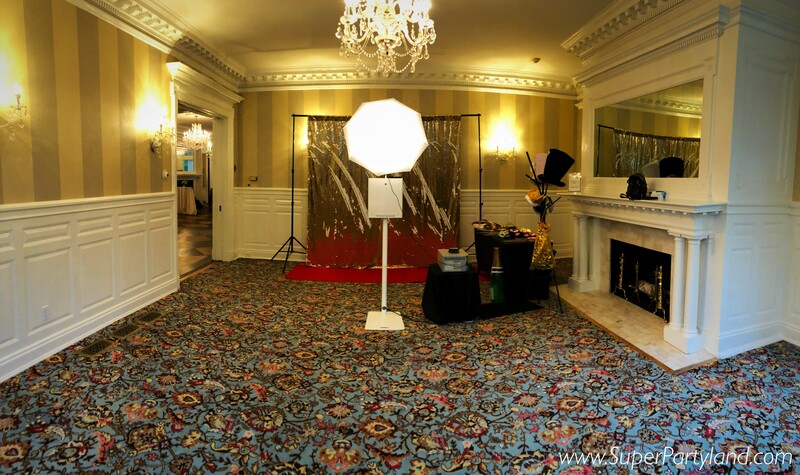 "We are extremely grateful and could not be happier with the services Super Partyland provided on our wedding. They were amazing, really supportive and helpful every step of the way. 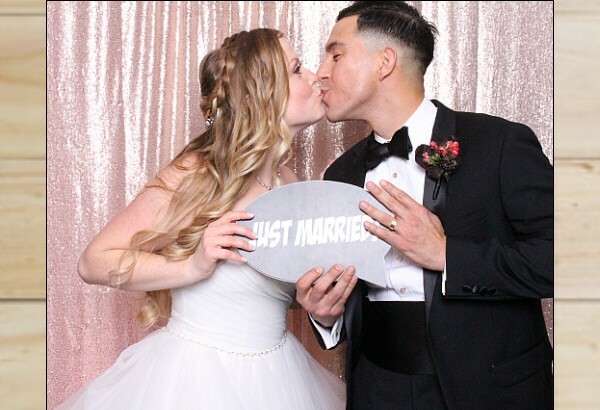 Our guests enjoyed the Photo Booth so much and it was really nice they were able to take home their pictures, something they can look back to forever remember our day…Thank you so much Super Partyland for everything you did to make our wedding memorable, we appreciate it so much!" 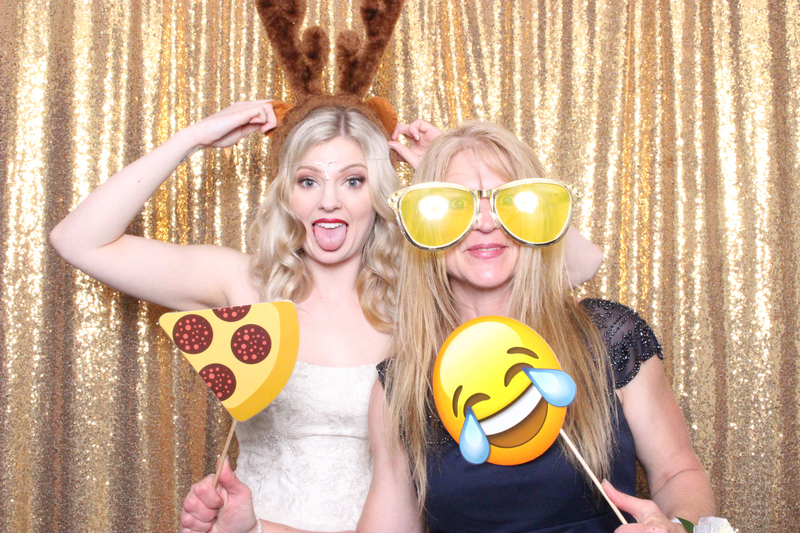 "I've most recently booked the Magic Mirror Photo Booth from Super Partyland for my niece's wedding. I wanted to surprise her with it so Daniel and Alonso (the onsite manager) corresponded with the venue directly to get everything set up. 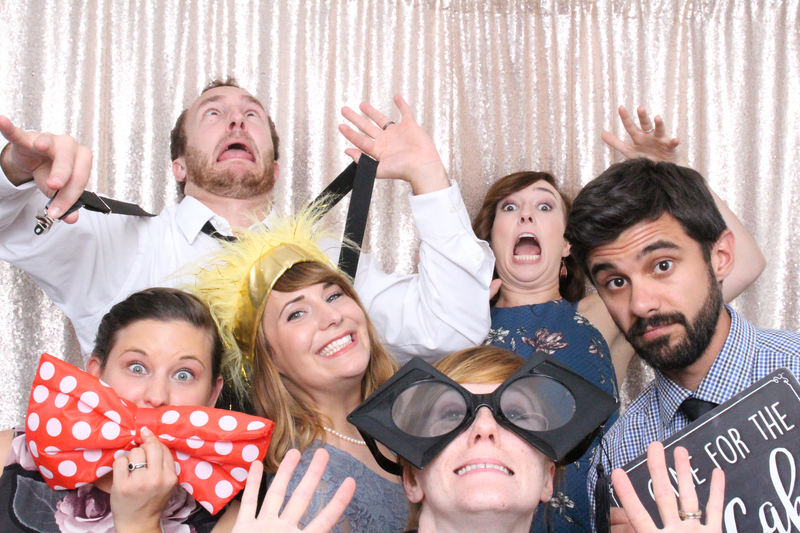 Everything went seamlessly and the photo booth was a HUGE hit! The first person to take pics was even the groom's grandfather! 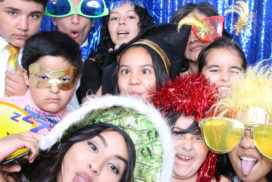 🙂 I highly recommend Super Partyland for your events!" Would you like a custom package? Can the Open Air Booth be indoors and outdoors? Yes, our open air booth can be set-up indoors or outdoors. However, we would need a tent (or pop-up tent) for an outdoors set-up. How many hours do I get per package? All our packages include your full hours plus one additional idle hour (for set-up). For example, if you reserve the “3 Full hours” package you would receive 3 full hours of active booth time plus one additional idle hour. What's the Extra Free Idle Hour? All our Open air Booth packages include one extra free idle hour, this is the time we use to arrive early and set-up your booth. You can also purchase additional idle hours. How long does it take to set-up? What size are the photos printed in? 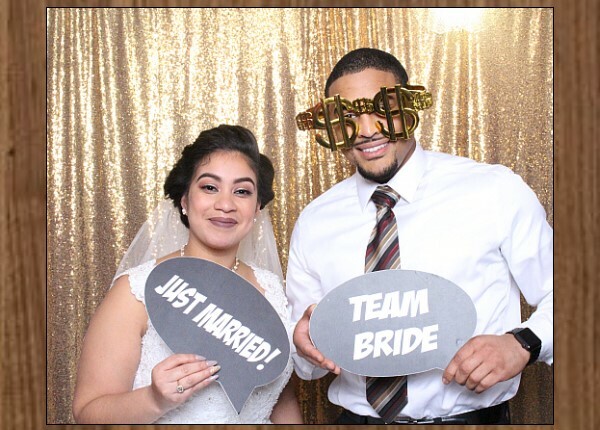 All our packages include 2×6 (photo strip) size photos. But you can also upgrade to a larger photo size (like a 4×6). How many photos are printed? 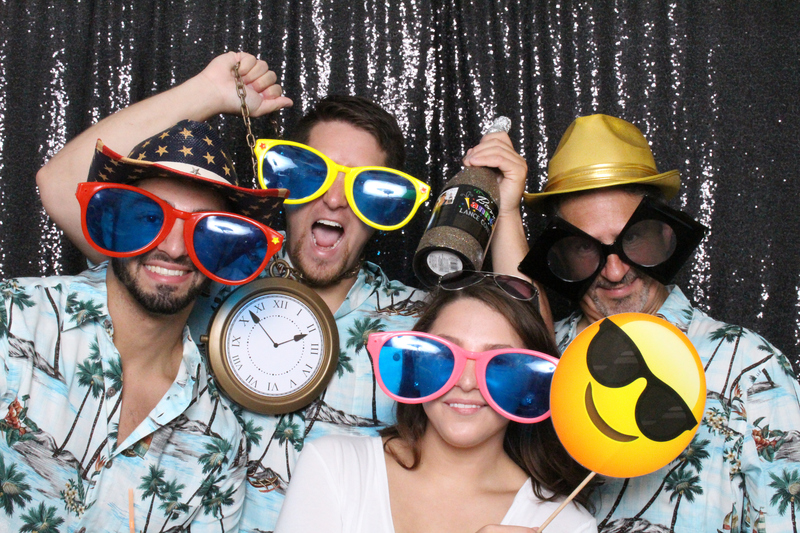 All our packages include unlimited booth sessions, and two 2×6 photos are printed per photo booth session. If you would like more photos printed you can do more booth sessions to get virtually as many prints as you’d like (since you would have unlimited sessions). How long does it take to print the photos? The photos print almost instantly! Takes only about 7-9 seconds for your photos to print! We’re also very proud to say we have one of the best (if not the best!) DYE Sublimation (photography) printers in the market today! 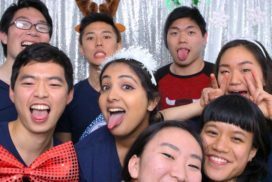 How can we share our photos? Can we customize our photo & include a message? Yes! 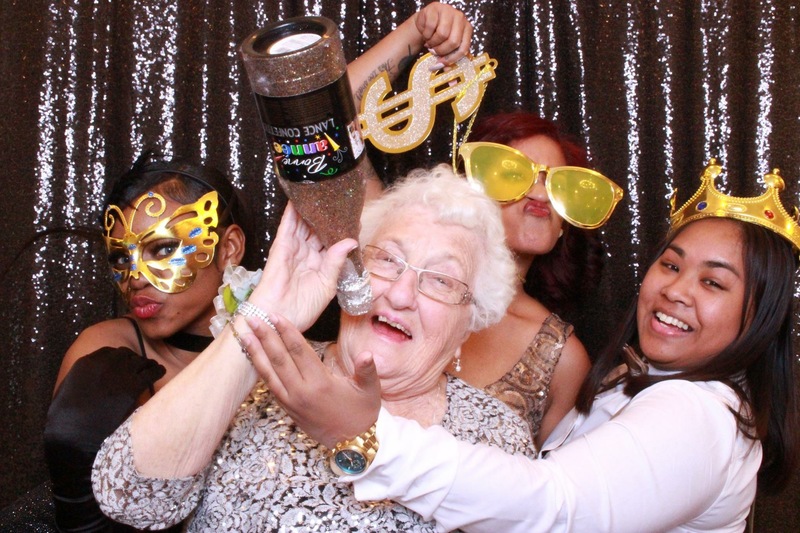 We will design your photos to match the color or theme of your event. We will also include a custom message that you choose. We’ll make sure your photo design is exactly as you would like it to be. We always recommend to reserve your booth & date at least 9-12 months ahead of time so that we can guarantee availability. Plus we usually give out generous discounts for clients that reserve ahead of time (9-12 months) 😉 . You can also reserve with less time in advance if we have availability (but you could have missed a big discount). How much space do you need for set-up? Our recommend space for set-up is 7ft x 7ft, however our set-up was designed to be flexible so that we can adapt our Open Air Booth to smaller spaces (as small as 5ft x 5ft). What do I need to reserve my Open Air Booth? You can fully reserve your Open Air Booth & lock-in your date with only $100 down. The remaining balance won’t be due until 3 -4 weeks before your event date. Will someone from Super Partyland be at my event? Absolutely! 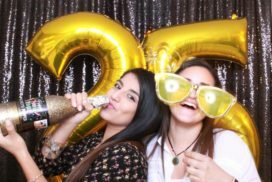 You will have a dedicated photo booth attendant present at your event to take care of your guests as well as your booth. This way you only have to worry about having the best time of your life! Regular Deposits are only refundable if you cancel within 7 days of your reservation. All deposit with special offers/sales promotions are non-refundable. All deposit for events reserved and happening in less than 7 days are always non-refundable. Yes, delivery & taxes are not included in any of our packages. Delivery is usually a small amount (within CT). We also offer free delivery to selected cities in CT.
You can find out your event city’s exact delivery amount (if any) by sending us a message here. Of course! We absolutely love to work with our corporate clients! We also love to help boost your marketing efforts by adding your logo and branding to your photo design for all your guests and clients to take home. We’ve done events for companies like Prudential, Planet Fitness Corp., Honda, WWE Corporate, Gengras Auto, The Knot, Vineyard Vines, News America Marketing, Rich Corp., Yale University & many others! Next steps to reserve my Open Air Booth? Please send us a quick message by clicking here. We will put together & send you a personalized PayPal invoice so that you can securely complete your deposit online. Don’t worry, you do not need to have a PayPal account in order to complete your deposit invoice. Powered by © Super Partyland, LLC - All Rights Reserved 2019.